• Always show Run Status if auto Build: if running from the command line, shows the Run Tab. 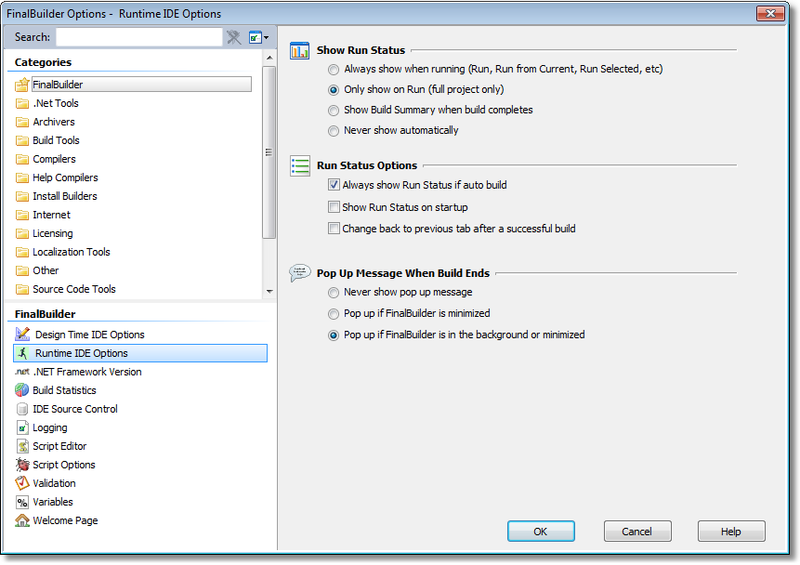 • Show Run Status on startup: automatically chooses the Run Tab when FinalBuilder is first run. • Change back to previous tab after a successful Build: if the Run Tab is automatically chosen for a build which completes successfully, returns to the previously selected tab. The message disappears when you click on it, or on the FinalBuilder IDE window.